‘Feminist Research’ is interdisciplinary online journal publishes double blind peer reviewed articles within all fields of feminism. Articles show feminist analysis of theories and practices in historical and present society. ‘Feminist Research’ incorporates innovative insights, methods and techniques used in disciplines like literature, history, philosophy, economics, sociology, anthropology, law, administration and governance, social work, theology, etc. Articles on feminist interference of science and technology on social, economic, cultural, psychological, behavioral, management and policy aspects of society are also invited. 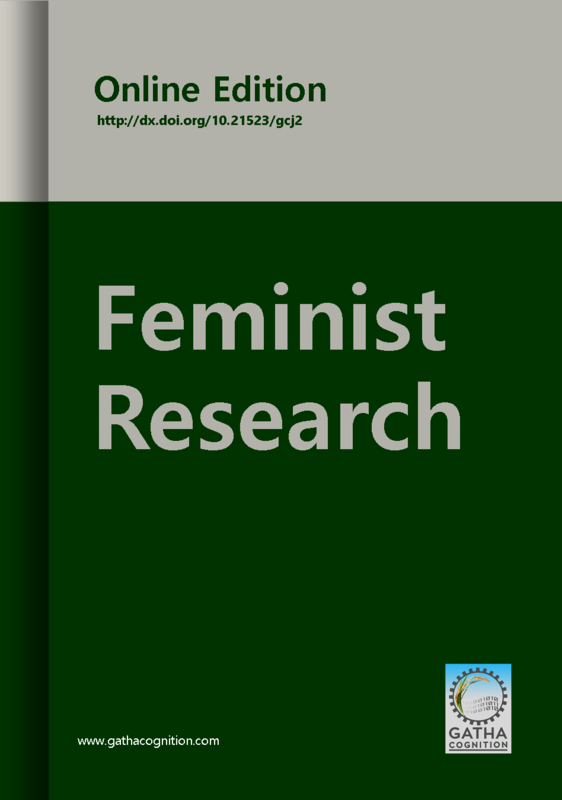 ‘Feminist Research’ is online journal publishes articles immediately after acceptance. All published articles assigned DOI and committing to maintain international standards of scholarly publications by applying CrossMark on webpage and PDF of articles.